Since then, I have been an employee of a leading french marine research institute. 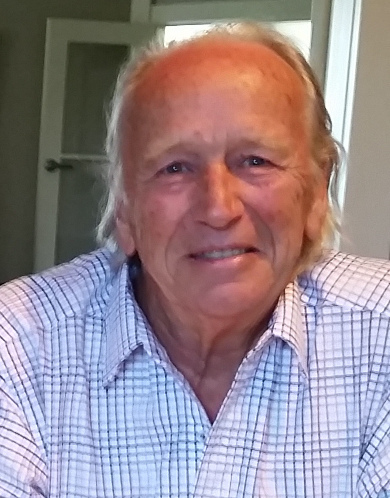 Until 1988 I have been assigned to a Polymetallic Nodules prospecting program in the Pacific, operating from Tahiti until 1975, then from Brest until 1983, then from Toulon until 1988. In 1988-1992, I was seconded to the South Pacific Applied Geosciences Commission in Fiji ( www.sopac.org ) as the Data Manager. Then in 1992, I took over as the Head of the Polynesian Remote Sensing Facility in Tahiti, French Polynesia. From 1999 to 2003, I have been seconded to the Group for the Advancement of Aerospatial Remote Sensing (GDTA) in Toulouse, France (CNES, IGN, BRGM, IFREMER). In 1999-2004, I had an agreement with Hyperspectral Data International in Canada for the application of 4SM to some CASI hyperspectral data. In october 2003, I was assigned in Nantes, France, in an administrative position. to the quest for an operational shallow water optical modeling process. and even some video and aerial photograph imagery. See me at SOPAC's Annual Session: STAR report after presentation of 4SM results in 1996. 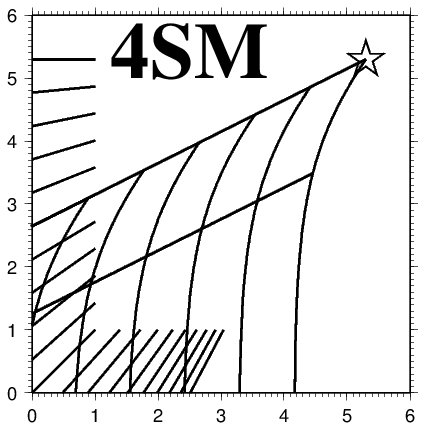 The 4SM code: I have written and tested, as a private R&D project -now as a hobby-, a code in the C programing language, which I called 4SM : Self-calibrated Spectral Supervised Shallow-sea Modeler. 4SM computes both the depth in meters and the spectral reflectance signature of the shallow bottom. 4SM has not even been tested by my former employer. Possibly not to cause any embarrassment. To date, a significant number of sea truth tests show that the depths, computed in normal conditions without the use or need for any field data or existing bathymetric map, still need to be multiplied by a final depth correcting factor very close to 1.00. Todate, the view of the sea bottom " like at low tide " still needs to be evaluated. Now that new generations of imagery become accessible, that are really appropriate for such application, (dual-use hyperspectral systems, airborne systems, very high resolution multispectral images, improved radiometric quality, atmospheric corrections), I need to proceed further with partners who are willing to test this application for themselves. To the question How deep ? , the answer depends on the spectral bands available, on the clarity of the water, on illumination conditions, on the bottom brightness, and on the radiometric quality (S/N ratio): in excess of ~30 meters in the most favorable conditions, but typically only up to 10-20 meters in most prevailing conditions, with a Blue/Green pair of bands of Landsat. My 4SM application relies on the image format of the PCI-Geomatica image processing software, and also uses a few modules of the GMT free software. My operating system is LINUX/bash on a portable PC. I have processed very large hyperspectral image mosaics with up to 17 wavebands. At GDTA, I teached shallow water optical bathymetry modeling, complete with a practical demonstration using ERDAS and a spreadsheet. My only publication on the subject was a low profile presentation to the ERIM-Marine conference in San Diego, 1998 .